In working with more than 4,000 association and not-for-profit clients over the past 20+ years, ASI Chairman & CEO Bob Alves and President & CTO Don Robertson have invaluable best-practice knowledge to share with association executives. 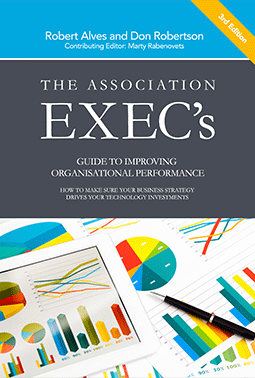 With new real-world case studies, expanded self-assessment tools, and keen insights, this updated edition will help association executives avoid common but devastating mistakes and ensure their business strategies align with their technology investments to help them achieve continuous performance improvement. For a limited time ASI clients, partners, not-for-profit executives and the media can download an electronic version of the Alves/Robertson book at no charge.